Increased printing and postage costs have limited the News Bulletins which we are able to produce and we have decided to provide more information on our website, as a way of communicating with our subscribers and others interested in the work we do. Please do check regularly on line for updates – www.bankruptcyadvisoryservice.co.uk. We are now in the first month of a new Government and as I prepare this Bulletin, the new Chancellor has announced the first cuts in public spending to reduce the financial deficit. How this will affect many of us and, indeed, what further cuts we are to endure, will become apparent in the emergency Budget in June. The ‘green shoots of recovery’ appear to be very delicate and the latest insolvency figures provide some concern, showing a massive increase in personal insolvencies over the same quarter last year. Certainly, from our perspective, there are more people than ever struggling with unmanageable debt, lending criteria is so tight that businesses and households are finding it difficult to obtain any financial support and the number of properties being repossessed is increasing month on month. It is a sad fact of life that, during recessionary times, crime increases. It concerns us greatly that we are seeing an increasing number of people whose financial morality is somewhat questionable and we have no doubt that this attitude is, at least to a degree, fueled by the behaviour of some of our MP’s and lending institutions. The situation regarding banks and building societies has been the subject of many miles of press reports over the last couple of years. Regular readers of our Bulletins going back over the last 12 years will be aware that a regular heading has been ‘Irresponsible Lending or Irresponsible Borrowing’. We firmly believe that the proof of the former is now well established. It is beyond us to understand why, when it was so obvious to us that lenders were lending more than would ever likely be repaid, it was not obvious to themselves, their regulators and, indeed, H M Government. Indeed, had any MP come and spent a day in our office, it would have been abundantly obvious that people were being allowed, and, indeed, ENCOURAGED to borrow funds which were far, far in excess of what they were capable of repaying. As a result, bankruptcies and business failures are increasing to new heights. Whilst issue is being taken with the Insolvency Service for adopting a ‘lighter touch’ in respect of many bankruptcies, one could ask whether it is really their responsibility to ‘punish’ debtors who have simply accepted funds which were, in many cases, thrown at them. Had the lenders carried out proper credit checks and acted more responsibly, we would not now be in the mess we are in. Indeed, we have lost count of the number of times we have been told by a client that, realising they had a problem with loan repayments, they approached the lender for assistance and advice, only to be ‘sold’ another product, INCREASING the amount they already owed and could not repay!!! However, enough of our opinions, let us move on…. Whilst we are still dealing with a few cases where the debtor has been made bankrupt for relatively low levels of Council Tax, it would appear that many Local Authorities are now pursuing other forms of debt recovery. Our concerns on these cases are that the Trustee in Bankruptcy’s fees are often considerable and far in excess of the original debt. It followed that people were/are losing their homes as they were unable to raise funds to pay the debts and costs of the bankruptcy and then had to be re-housed by the very people who issued bankruptcy proceedings against them in the first place. We are also very aware of organisations who approach these debtors with offers of assistance to annul the bankruptcy, remortgage the property and generally provide the solution to the debtors situation. Sadly, every day we hear from people who have become involved with these organisations and then found that they are, at best, unable to achieve what they have offered and, at worst, put the debtor into an even more serious situation than they were at the outset. Many callers have explained to us that they charge exorbitant fees for their 'service' and often have a caveat in their documentation which enables them to buy the debtor's home at a vastly reduced figure, if, for instance, the debtor is unable to remortgage his property to pay their costs/fees. It is extremely sad that organisations such as this are welcomed by some members of the insolvency profession as 'advisors'. As many readers will know, I was honoured with an MBE in the Queen’s New Year Honours 2008. Around this time two years ago, my husband and I, along with or daughter Joanne and her husband, were at Buckingham Palace. We had the most memorable day (although I think my family remember a lot more of it than I do, as I was so nervous!) H M Queen Elizabeth was ‘on duty’ that day, much to my delight and she had a chat with each and every recipient. A truly remarkable lady. Recently we have reached agreement for a client who was responsible for a personal guarantee to his business bankers, after his business failed. The PG was for around £45,000 and we reached a full and final agreement of £4,000. It has to be said that this particular account manager at the bank was one of the few we have come across in recent times who made a commercial decision and understood that if he did not accept the proposal, our client would have little option but to go into bankruptcy and the return to the bank would have been nil. I am sure many readers will have seen the article in The Times some time ago, posing the question ‘Who is the odd one out – Lord Stevenson, former chairman of HBOS, Andy Hornby, former chief executive of HBOS, Sir Fred Goodwin, former chief executive of Royal Bank of Scotland, John McFall, MP, then chairman of Treasury Select Committee, Alistair Darling, former Chancellor of the Exchequor and Sir Terry Wogan. The answer – Sir Terry Wogan – he is the only one with a banking qualification!!!! I recently completed a bankruptcy petition for a client who had around £40,000 credit card debt. She was solely dependent upon State Benefit and had been for some considerable time. Coming to the end of the petition, the debtor is, of course, required to give details of employment and the reasons for his/her inability to repay the debts. When I asked her if the credit had been accrued when she was in employment (as I naively presumed), she looked amazed and said of course not, she hadn’t worked since 1979. I would like to know why/how five credit card companies thought that Income Support and Disability Benefit could be stretched to service debts of £40,000. I readily admit that this lady should not have sought or accepted the funds. However, there are ALWAYS two sides to any issue. I think it fair to say that if individuals ran businesses the way the senior bankers have run their organisations, we would be accused of wrongful trading, be wound up or bankrupted and banned from being directors of limited companies. Completely mis-manage a bank or building society, however, and you keep your job and are paid a massive bonus. Truly appalling and I firmly believe that we are now seeing less financial morality in individuals simply because the general public see how these so-called captains of industry have behaved and been rewarded. A Debt Relief Order is only applicable for those debtors who have debts of less than £15,000, assets of no more than £300 and disposable income of no more than £50 per month. They are, in essence, a simplified, more cost effective formal insolvency procedure to deal with low levels of debt which is owed by the very poorest of people. Discussions are now being held as to whether people with pension provisions in place are eligible for a Debt Relief Order. We are aware that some creditors are now expressing concern about DRO’s, although they did not respond to the consultation process before the DRO was launched in April this year. A senior member of the Insolvency Service staff commented that maybe they should consider that the Insolvency Service did not create the debt but were merely dealing with the outcome of lax lending criteria. So say all of us…. These informal arrangements with creditors which are operated by an increasing number of firms, some of which have charitable status, are coming under increasing scrutiny. Concern is being expressed in more and more quarters because debtors are being ‘encouraged’ both by the debt management company and, indeed, by the lenders, to enter into open-ended agreements where other – usually formal – forms of insolvency procedures would be more appropriate. Could it be for the fees charged, we wonder?? Another concern we, and indeed, other reputable advisors have, is that lenders appear to be somewhat unwilling to deal with anyone but their own, particular, favourite Debt Management Company. It may be, of course, that they ‘fund’ that particular company, but maybe we are just slightly cynical…. Some Utility Companies insist on a bankrupt person having a pre-payment meter for electricity, once the Bankruptcy Order has been made. We have long argued that this is unacceptable, given that supplies generally cost more with this method of payment. We were delighted to read in the press recently that this is an argument/concern which has now been accepted and those companies are being encouraged to stop this abuse. When the Enterprise Act came into force, the Official Receiver was given the opportunity to grant an early discharge from bankruptcy and we saw some people being discharged after 6 or 7 months. It would appear, however, that this procedure took up a lot of the OR’s time and there was some question as to whether there was any benefit to the debtor, not least because the Credit Reference Agencies continue to keep details of a bankruptcy on their files for 6 years. As we understand it, whilst some early discharges are still being granted, the procedure is under review. Discretionary advertising of all insolvency procedures came about in April last year. Advertising was rarely of any benefit to any of the involved parties but it did cost millions of pounds. There are, however, always losers when precedures change – newspaper groups are complaining about the loss of revenue! Debtor’s Petition – Should it continue to be a Court-based Process? Currently, if a debtor wishes to submit his/her own petition for bankruptcy, he/she must go through the Court process. We recently attended a Consultation Group at the Insolvency Service in London where representatives of lenders, insolvency practitioners, the regulatory bodies, the free advice sector and others were invited to discuss whether it would be appropriate/acceptable to allow Official Receiver’s to deal with debtor’s bankruptcy petitions and, in effect, to remove it from being a Court-based process. In reality it is not necessary to have Court involvement in matters other than dispute resolution matters. It was of great interest to us that many of those who wanted the system to remain Court based – rather than be handled by the Official Receiver’s as was proposed – had absolutely no knowledge of the current procedure but were strongly averse to any change. Considerable time was spent discussing/debating the issue of proof of identity. It seemed beyond many delegates to understand that no proof of identity was requested by the Court in the current system, so why it was an issue was beyond me…. We now have considerable experience in submitting petitions for people who are now living abroad but who have debts in the UK. These petitions are submitted, with Power of Attorney, at the Royal Courts of Justice in London. We go to great lengths to check the petition before submitting same, as we are all too aware of the criteria laid down by the Court in respect of the debtors Centre of Main Interest, etc. Anyone requiring further information in regard to this service should contact us. The new Liberal Conservative Governments has announced plans to crack down on the excessive interest rates charges on credit and store cards. These measures will give regulators new powers to ban what are deemed to be unfair rates of interest charged by these lenders. Aggressive action by bailiffs and unreasonable charging orders on property will also be under the spotlight, with more protection for the consumers being provided. Courts will also be given additional power to insist that property repossession is always the last resort. As you would expect, there has already been comments that the above action in respect of interest rates on store and credit cards could restrict competition between card providers and thus reduce choice for consumers. Unfair banking and financial transaction charges will also be addressed by the new measures. It will be interesting to see what, in reality, changes. We are a totally independent organisation and provide help and advice on serious debt and bankruptcy. Access to our telephone advice line costs a mere £25 administration fee. In addition, we are happy to see people for a face to face meeting. We offer a negotiation and mediation service. That service could, for instance, encompass negotiations with creditors to - hopefully - avoid bankruptcy; negotiations with the Official Receiver or Trustee in Bankruptcy in respect of a disputed Income Payments Order, Bankruptcy Restriction Order or to secure the family home in bankruptcy. If readers have any other issues they require assistance with, then please do call us. Our Foreign Assistance Service which enables people to go into bankruptcy from abroad (providing, of course, they meet the relevant criteria) is proving increasingly popular. Those taking advantage of this service will be provided with all the relevant assistance and advice to complete their petition for bankruptcy, the draft forms if necessary, together with a draft Power of Attorney. We will thoroughly check the petition documentation before the final draft is printed and sworn wherever they reside. Once we receive the three required copies, then we will make arrangements to submit same at the Royal Courts of Justice in London. A copy of the sealed Bankruptcy Order will be forwarded to them and any assistance required in dealing with the Official Receiver's requirements will be provided after the Bankruptcy Order is made. Those people wishing to go into bankruptcy from abroad will have debts in the UK but are now living and working abroad. We would like to make it clear that we do not assist people who have debts in other EU countries but who wish to submit their petition for bankruptcy in England. Regular readers of our Bulletins will know that this is a regular heading and point of discussion! We are very aware that many debtors are persuaded to make inappropriate IVA proposals by advisors who stand to benefit from the advice they provide. Some of those proposals are refused by creditors and the debtor then has to consider his/her other options. However, some are accepted, only to fail within the first few months when the debtor realises that the monthly contributions are simply unaffordable. By then, of course, what contributions have been made, usually only cover the fees of the Arrangement, so the creditor is worse off, his/her debts have increased and the creditors have received nothing. Anyone considering an IVA would, therefore, be best advised to give the proposal considerable thought, not least to ensure that the monthly contributions are, indeed, affordable. If the debtor has a financial interest in a property, most IVA's will require his/her share of the equity to be raised at the end of the 4th year and thrown into the IVA pot. We have had a number of calls recently where debtors in this situation have been unable, because of the restricted lending we are experiencing, to raise those funds. Whilst there are alternatives, without proper help and advice, it is often difficult, if not impossible, to overcome this hurdle and complete the IVA satisfactorily. If you are in this situation, please contact us for assistance. We are also very aware that there are organisations who are trawling through the financial press and writing to those people subject to an IVA and advising that their Arrangement may well have been mis-sold. We regularly hear from people who have been encouraged by one of these 'ambulance chasers' to stop making the IVA contributions and pay a reduced sum to them, on the promise that they will deal with the outstanding creditors. It is rarely (rarely - if ever!) made clear to the debtor that if he ceases payments into the IVA, it will be deemed to have failed and the likelihood is that he will be made bankrupt. There are guidelines in respect of the times a creditor may contact the debtor. In addition, it is quite unacceptable for a creditor to issue threats against the debtors assets or, indeed, family. If a debtor is of the opinion that he/she is being 'bullied' by creditors, either to make a payment or provide information, etc. then the debtor should immediately seek proper advice. Sadly, it is often a vicious circle for the debtor - we have had cases recently where the debtor has advised us that a creditor has called her every hour from 8am to 9pm. We have also had a caller advise us that one of his creditors called him at his place of employment and left a very explicit message with another member of staff. Another caller advised that the creditor representative told her debt was a criminal offence and her children would be taken into care. In each of the above cases, the debtors were afraid to give us authority to take up the matter on their behalf, concerned that if they made a complaint, they would receive further 'punishment' from the creditor. Cynics may well say, oh yes, another fairy story. However, we have no reason to disbelieve these callers and they certainly had nothing to gain by telling us of their problem, if it were not true. I note that R3 President, Steven Law, has recently expressed concern that a recent survey showed that creditors continued to make direct contact with the debtor, even when that debtor was subject to either informal or formal insolvency procedures. I totally agree with his statement that the range of debt solutions is deeply confusing for an individual in potentitally the most stressful period of their life. They should be applauded for taking action to bring resolution to their finances and make a fresh start, not pressured by their creditors once they have acted to deal with their affairs'. R3 is, of course, the trade body of the insolvency profession. I would go one step further than Steven and take issue with those involved in providing advice on insolvency who, like creditors, bombard debtors to deal with their situation, in whatever manner generates the most fees for themselves! I was absolutely delighted to accept the Sabin Award for Outstanding Contribution to the UK Rescue Sector at the Credit Today Insolvency & Rescue Award Ceremony 2009 in London in the Autumn of last year. I had no idea that I had been nominated and the award was a considerable accolade, not just for myself, but for the work of the Bankruptcy Advisory Service since its formation in 1997. Many, many thanks to those who nominated and supported my nomination, not least to the person who drove me to and from the ceremony as I was really under the weather with a nasty dose of flu and was moving house the very next day! Thank you, too, to his wife as I was welcomed as an overnight guest on the evening in question. No names mentioned, but you know who you are! Thank you. Recently we pursued a complaint against a Trustee in Bankruptcy who had demanded a payment of £10,000 from a discharged bankrupt person, in exchange for her interest in his home, which was subject to considerable negative equity. She has demanded those funds from him, as a contribution towards her fees. 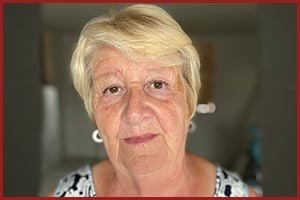 In addition, she has stated that she does not believe a bankrupt person should benefit from any increase in property values after discharge from bankruptcy and nor does she agree with the three year ‘use it or lose it’ clause in the Enterprise Act, in respect to a Trustee’s interest in the family home. The outcome of the complaint was, sadly, very much as we anticipated, ie in the opinion of the Trustee's authorising body, she had done nothing wrong. It is becoming increasingly apparent that many people feel they have a right to free advice in regard to their financial situation. As we are totally dependent upon the income we generate to cover our overheads, etc we are simply unable to provide a free service. However, we consistently hear about the ‘free advice sector’ and how people can access FREE advice, etc. Perhaps it is time that BEST advice was promoted, rather than free advice. We are amazed at the number of so-called ‘experts’ on debt and bankruptcy who are providing advice and operating websites and who often have little, if any, knowledge of insolvency and are merely ‘advising’ based on their own personal experiences. The old adage ‘there is no such thing as a free lunch’ is so true – while many of these ‘advisors’ may provide free advice initially, many are in relationships with others who charge highly and who pay referral fees to the introducer. An insolvency practitioner is licenced by one of several authorising bodies, ie Institute of Chartered Accountants, the Law Society, the Insolvency Practitioners Association, etc. Until relatively recently the Insolvency Service operated a rota system whereby IP’s were appointed from that rota, as Trustee in Bankruptcy, on most bankruptcy cases. However, in a determined attempt to increase the return to creditors and reduce the administrative costs of a bankruptcy, the Insolvency Service began keeping more of the smaller asset bankruptcy cases ‘in-house’, thus avoiding the appointment and fees of a Trustee in Bankruptcy. This has caused many IP’s, particularly from smaller practices, to complain. Whilst we have some sympathy with those IP’s who carried out their work diligently, with regard to both debtor and creditor (rather than just taking as much as possible by way of fees for themselves), in our opinion the blame for this loss of business for IP’s can be laid squarely at the feet of their authorising bodies. Had they shown any interest or willingness to punish those IP’s who abused their position by showing lack of objectivity, failing to follow ethical guidelines, proper case progression, racking up outrageous fees, often well in excess of the actual debts of the bankruptcy, then we would not have the situation we have today. When I brought the case highlighted above to the notice of a senior member of the Insolvency Service, his response was ‘and they wonder why we are keeping more cases ourselves’. And so say all of us….. Figures recently released show that personal insolvencies rose at the greatest rate ever recorded in the last financial quarter. We are now seeing an increasing number of sole-trader bankruptcies, after dealing primarily in the last few years, with consumer debtors. The impact of the banking crisis is not only putting pressure on the usual ‘victims’ – those connected with the building trade, pub landlords, independent retailers, etc – but is causing many professionals financial hardship. Those who have been encouraged to speculate on the property market during the good years have seen their investments slip into negative equity. The collapse of the property market has caused the demise of many estate agents, surveyors and even accountants and lawyers. Credit Today, a publication which always carries numerous interesting articles recently headlined on particular piece 'Rich List hit by insolvencies'. The article explained that the number of highly educated, wealthy individuals becoming insolvent rocketed by 43% during last year. One of the large Credit Reference Agencies is quoted as saying that the number of 'bust privileged' City workers, living in the exclusive postcodes of London such as Kensington, Chelsea, Regent's Park and Hampstead has now risen to 202. In an earlier Bulletin we expressed concern about the number of young people seeking advice on huge levels of personal debt. Increasingly over the last couple of years, we have seen a substantial increase in older debtors. The article in Credit Today bore out our opinion, stating that the older generation of people living on limited incomes in council estates of Northern and Midland industrial towns faced the highest number of insolvencies. Those living in the so-called 'legacy of labour' consumer bracket witnessed a 10% rise in the most recent quarter. Torquay was highlighted (if that is the correct term!) as having the largest number of personal insolvencies - 10 in every 1000 adult residents became insolvent during 2009. Llandudno and Skegness - two other famous seaside towns - also saw high concentrations of insolvency, with around 8 in every 1000 residents becoming insolvent. We have also seen an increase in the number of people who have borrowed against their home when property prices were increasing, only to now find they have mortgages in excess of the value of the property and which are unaffordable. Many of these people have absolutely nothing to show for the borrowing they are carrying and are, quite simply, ‘lifestyle’ bankrupts. Let us hope that the credit crunch engenders a more responsible attitude, not just to borrowing, but also to lending. Many of the people who are going into bankruptcy now have, in the past, found credit just so easy to obtain, they have never considered that there may come a time (now!) when, for many, repayment of the borrowing is beyond their capability. From 5 April 2010, the fee to submit a bankruptcy petition was increased to £600. Those on low income or in receipt of certain forms of State Benefit could have that fee reduced to a minimum of £450. The last couple of years have been very busy for us. We moved our office from my home in East Yorkshire over to our office here in, Knaresborough, North Yorkshire. That move was achieved over a weekend to cause minimum disruption to our subscribers and clients. We also had our memorable visit to Buckingham Palace and, to round off 2008, Joanne and her husband presented my husband and I with a gorgeous baby Grandson. Unfortunately the country has not enjoyed such happy times, with the former Labour Government struggling to cope with the banking crisis and, more recently, with the fiasco of MP’s expenses. We are also experiencing the worst world-wide recession for many decades which is resulting in us dealing with people coping with unmanageable debt, both here and abroad. The new Liberal Conservative Coalition Government is, as yet, untried and unproven. Each and every person I speak to has his or her own opinion about its future. Interesting times are ahead, although I fear that they will also bring a period of hardship for many. Our negotiation/mediation services continue to be extremely popular and we have achieved some outstanding agreements for clients. The Foreign Assistance Service, enabling clients to go into bankruptcy from abroad, which we started a little over 4 years ago, now means that we are dealing with people in just about every country in Europe, as well as America, China, Japan, Mexico, Australia, New Zealand, Thailand, South Africa and just about every other country you can think of. I could never have imagined, when I started the Bankruptcy Advisory Service in 1997, that in 2010 we had clients throughout the world! Let us hope that the economic situation starts to improve soon. If I had one work-related wish, it would be that those in positions of authority over bankrupt people behaved fairly and correctly and did not take advantage of their position. It is time that the insolvency profession rid itself of those who bring it into disrepute and recognised that most IP’s do a reasonable job in often quite difficult circumstances. Their jobs and reputations are not made any easier or better by their few colleagues whose only thought is for themselves and their own fees. As ever, we look forward to hearing from you.